Q: What do you do if you love perfume but don't like to carry your bottles around with you every day? A: You invest in rollerball fragrances of course! 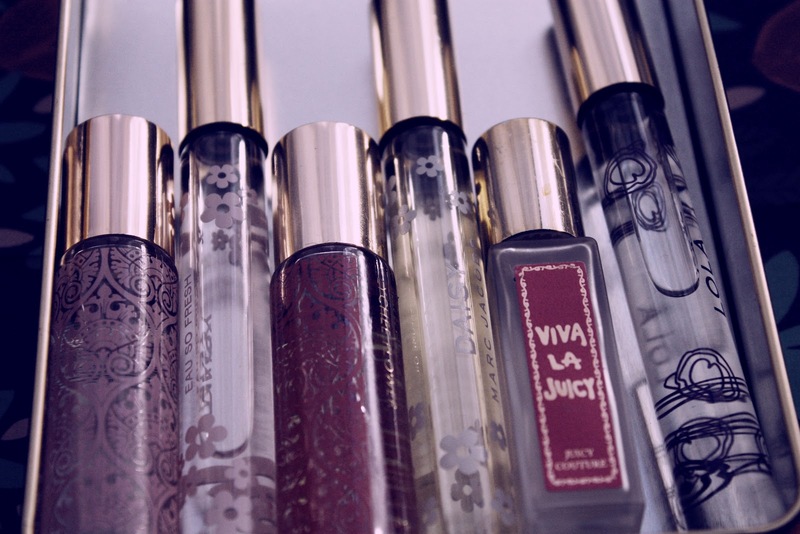 Rollerball perfumes are designed for handbag use & women on the go. They're also a perfect alternative if you don't want to invest in a full-sized bottle of a fragrance, or perhaps just want to try a scent before making a big spend. As I'm often out & about most days & already carrying far too much with me, these fragrances are easy to pick up & put inside my makeup bag. I like to have quite a few so that I can rotate them weekly, or in the case of Fashion Week, daily. Here's the tin I house my miniature fragrances in when they're not in use. The fragrances I own & love. -Marshmallow Perfume Oil by MOR Cosmetics, a gift from MOR at NZFW. -Daisy Eau So Fresh by Marc Jacobs, sold as a limited edition set of 3 for 50/60 dollars. 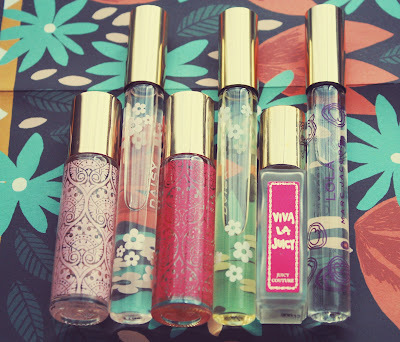 -Lychee Flower Perfume Oil by MOR Cosmetics, $25. 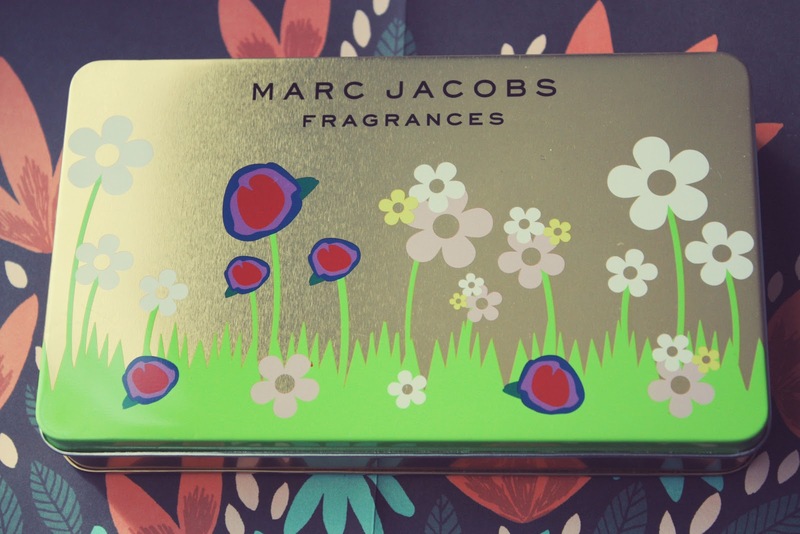 -Daisy by Marc Jacobs, sold as a limited edition set of 3 for 50/60 dollars. -Viva La Juicy by Juicy Couture, purchased in New York for 19 USD. -Lola by Marc Jacobs, sold as a limited edition set of 3 for 50/60 dollars. *I also own Wonderstruck by Taylor Swift, but it's hidden somewhere in one of my handbags & I couldn't find it. From memory it was about 25 or 30 dollars. -All images have been edited using PhotoShop actions Rose Feeling or Vintage Melody by Alexandra Sophie. This is such a good idea - and I am so surprised I never thought of it before. Awesome tip!